Pilates practise at home always seems a great idea as you leave your Pilates class after a great session, but how many people actually do it, even with good intentions! Exercising at home is not for everyone, it’s hard to motivate yourself, find the time and sometimes the space. Most of the time these are just excuses! If we really want to do it we will find a way! In fact we have a great blog 5 top tips to do Pilates at home which gives you an advise on setting up at home! If you go to a regular class then you know the benefits of Pilates to you and extra sessions during the week will only increase these advantages! If you use to do regularly Pilates but now can’t attend a class then this could be the perfect solution for you! There are so many Pilates classes online, free or subscription based. All levels & types of Pilates to suit you. YouTube has so many free Pilates videos, but you have to search through and find the right one for you. the pace of the session – not too much talking at the start, teaching points throughout? If you have decided to try this out then set yourself a goal, eg do 2- 3 sessions a week. For help on setting your goal then read this blog. and make sure you have an area where you can go and do your Pilates session. This way you are setting yourself up to win and not fail! 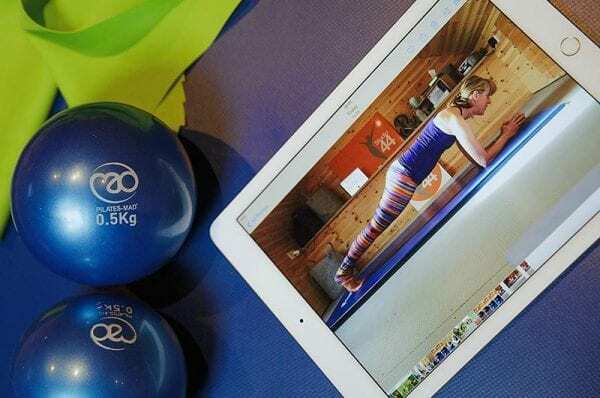 Want to try Pilates Online with our 10 minute sessions? PreviousPrevious post:What should I wear to my Pilates class?NextNext post:How to keep your exercise routine going through the cold weather!